Getting Cablecast feels like adding a whole new person to your team. Now you can get back to doing what you love. 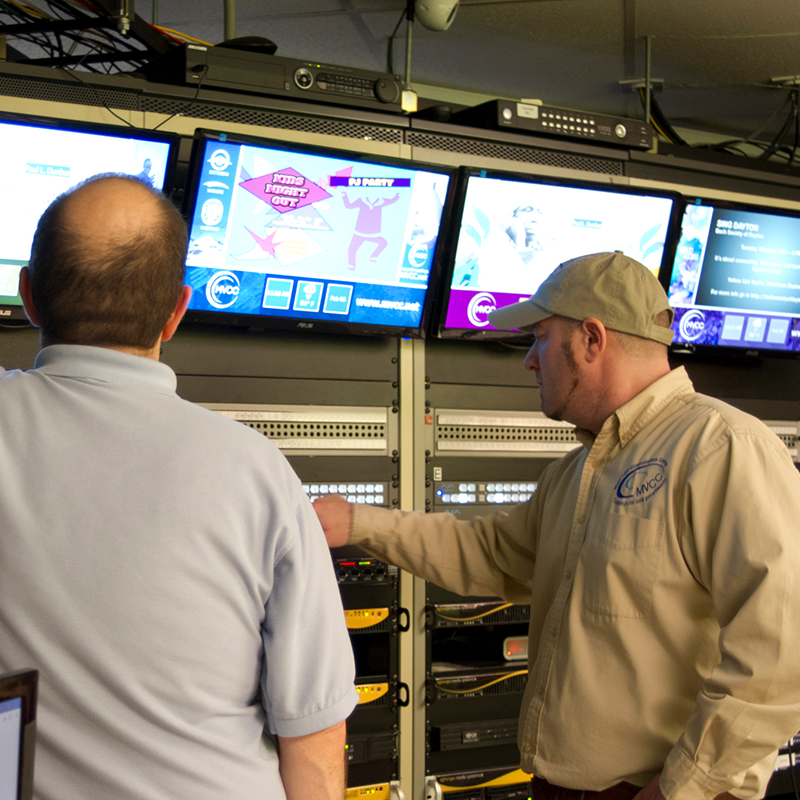 Designed for those looking to consolidate the management and automation of their operations into a single system, Cablecast is the ideal fully automated solution. Work Smart From Anywhere. A responsive web interface let's you work from anywhere and monitor your system’s health status remotely, even on mobile. Schedule Once Publish Everywhere. 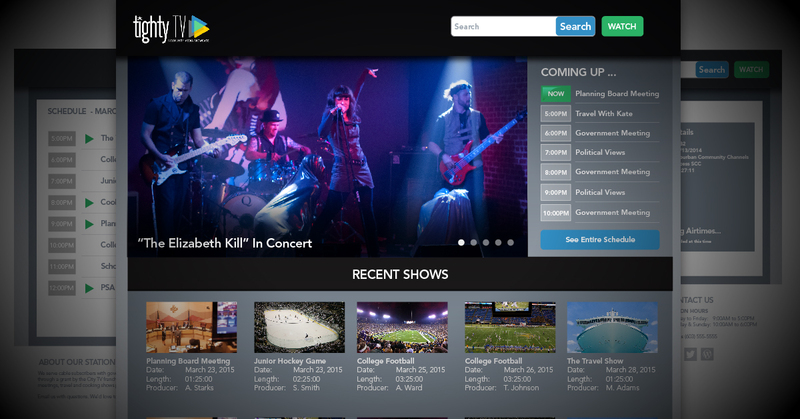 Program your channel once and your information is published to your website, bulletin board, online content library, and is downloadable for your EPG. Win the Internet. Enjoy turnkey web publishing solutions that are fully integrated into the web UI, update dynamically as you schedule content, and are optimized for search engines and social media sharing. Cross Platform Support. Viewer support for Mac, PC, Android, iPhone and iPad. Publishes shows as a video podcast for iTunes and other media aggregators. 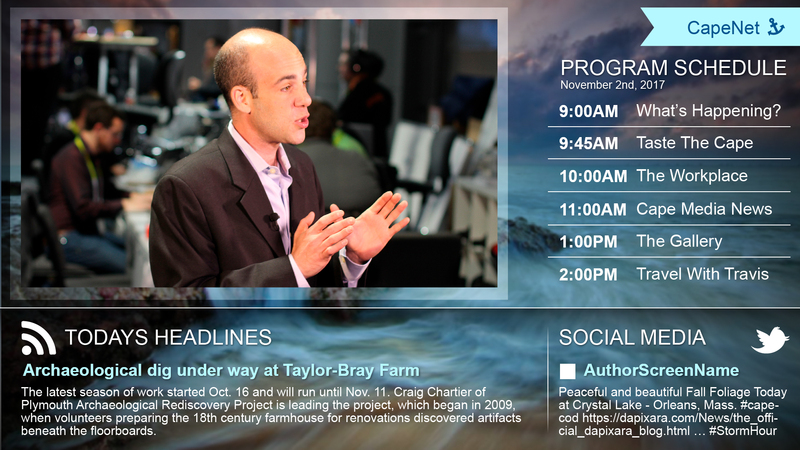 Cablecast integrates seamlessly with Tightrope’s award-winning digital signage solution, Carousel. Options for days. Choose from our catalog of pre-designed channel templates, create your own or have our creative team design a custom look for your brand. Realtime Dynamic Content. Use Carousel dynamic bulletins to provide always up to date community information like traffic cams, RSS news feeds, weather forecasts, facebook and twitter feeds, and more. Live Video Input. Pull in live video with the optional video input device for creating an L-Bar. You dream it, we will build it. Tightrope can help you guide and inform your audience with interactive solutions for staff directories, maps and wayfinding, schedules, event information, and more. Let our creative team make you beautifully custom-designed channel layout for your bulletin board that looks and feels just like you, but with none of the hassle of doing it yourself. 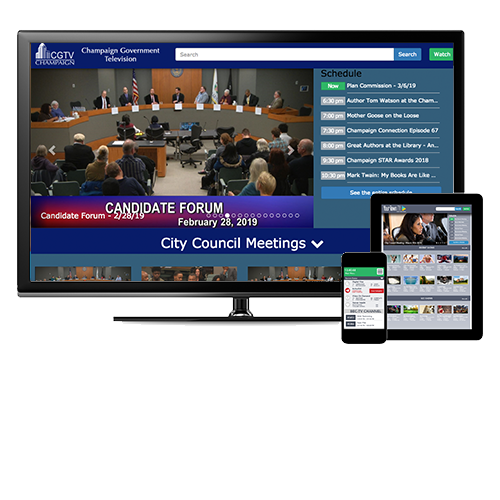 Cablecast's all-in-one solution save staff time for more creative activities and seamless VOD options bring HD to MVCC for the first time.